Another great day as it started with bacon and sausages in breakfast. Gregg started off the day with a very nice introduction to the white noise analysis of V1 data. The best part of the talk to me was the geometric interpretation of STA. That has been inserted into my “take home” list of ideas or interpretations from the course. Also the way we can estimate the nonlinearity in the LNP model was really explained well by Gregg. He also went over contrast invariance of V1 complex cells and the reason to start looking into STC etc beyond STA. Marjena (one of our TA) presented her research after dinner, which was obviously followed up by two rounds of mafia. Day 2 started off with EJ telling us more about the retinal ganglion cells (RGC) and how they form mosaics to cover the entire visual space (a little more also on the diversity of cells and their functions). – RGCs spike timing precision is of the order of 1-2 ms, whereas in general cortical cells have it in the order of ~10ms or greater. There is a lot of correlated firing in RGCs mainly driven by shared inputs (cones). He also emphasized the fact that the morphology of the RGCs change systematically with eccentricity. – There is yet no direct evidence of direction selective cells in the primate retina. – He started discussing the use of STA to estimate RGC receptive fields and left it for Jonathan to go into details. Jonathan formulated the LNP (linear- non linear- poison) model and mainly spoke about its implementation and limitation (i am working on a tutorial based on that). Lunch followed … It was a nice and sunny day. Where all the action happens! Next we had Euro give a talk. First time, we used the black board as he drew most of the stuff to explain it to us more lucidly. There was a mention of avoiding the “Henry Markram way ” of doing research 🙂 Most of the talk was geared towards understanding the basic principles of efficient encoding and decoding. He touched upon maximum likelihood estimation , fischer information etc. A lot to digest! Hopefully the tutorials tonight will shed light on some of the stuff. 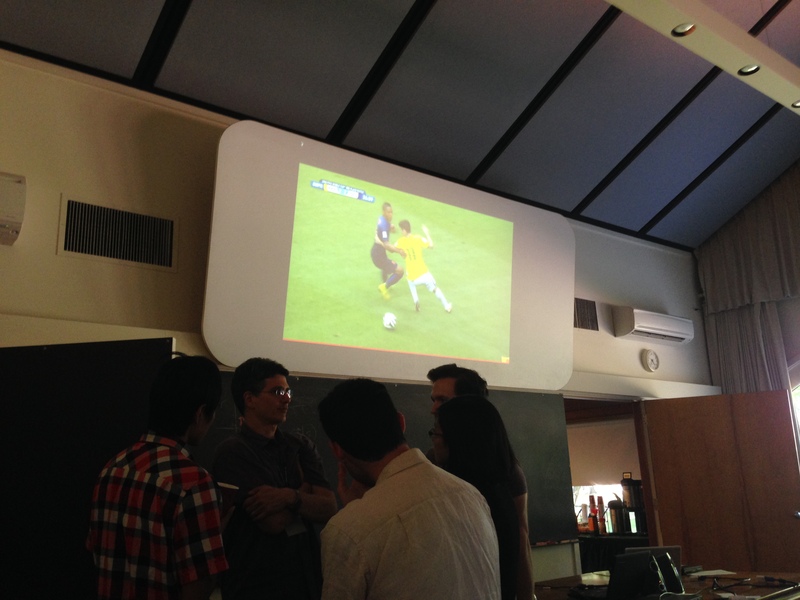 The lecture ended at 4:20 pm to allow us watch Brazil humiliate themselves again. The day ended with some of us playing mafia (which i believe will be repeated in more exciting and intense ways in days to come). The first day of the course starts off with a solid breakfast. 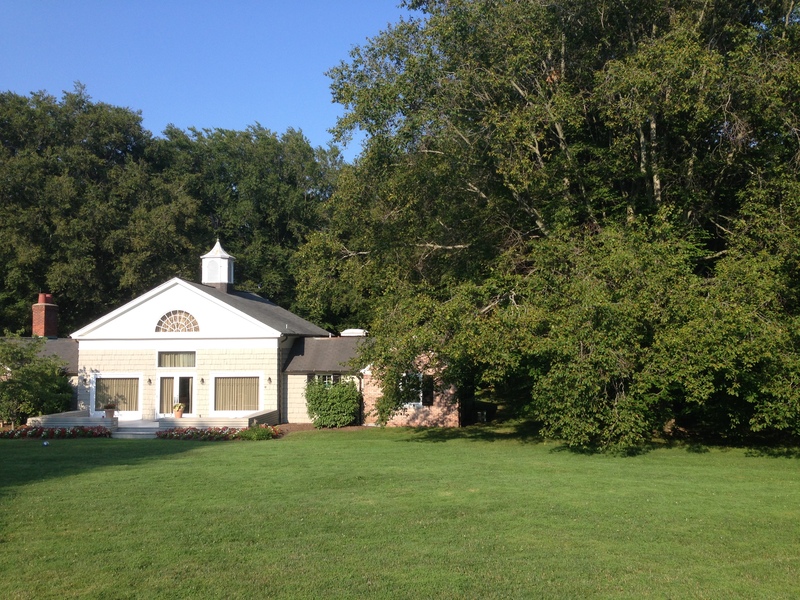 The course is taking place at the Banbury conference center. The session began with a general introduction of all organizers, TAs, lecturers and students. 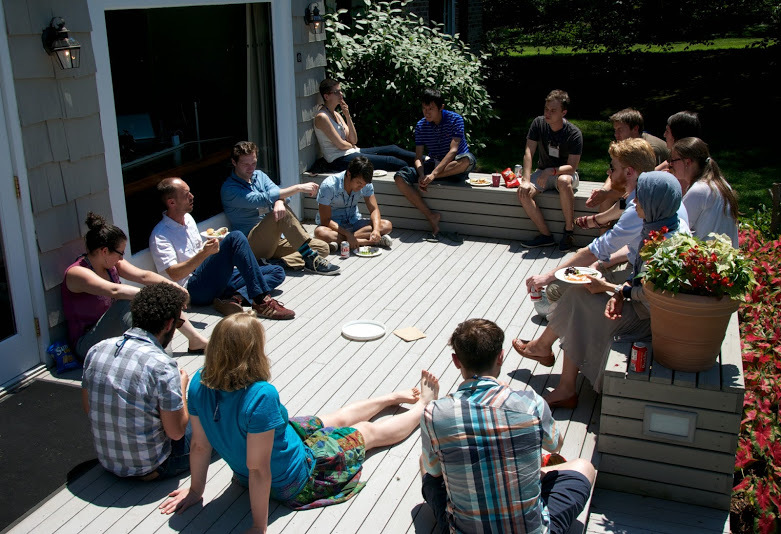 One striking thing is how many of us work with animal models (like 60%). Off-course from here on the main focus was on Tony Movshon. We started feeling his presence right away. The mood is always maintained light with a few jokes here and there. Synopsis : He mainly talked about three things. 1.what features a visual image generally comprises of, 2. how they get encoded in the early visual systems and 3. how these encoded signals are later decoded higher up. 1. components of visual image: the plenoptic function (x,y,t, lambda, Vx, Vy Vz) and the elements of early vision (gotta read Adelson and Bergen 1991; it has 1179 citations!). Rather than the values of each parameter, their derivatives are more informative. A cool thing he said is that you can think of motion as orientation in space (x) and time, and disparity as orientation in space and eye position. 2. visual information encoding: He talked about the functions of retina,followed by an explanation of the spatial contrast sensitivity (another very good paper to be read: Enroth-Cugell and Robson 1966). He also touched on centre surround receptive fields, ON and OFF cells, issues with assuming linearity. 3. decoding visual information: This was my favorite part (filled with choice probability, MT recordings, pooled activity etc). Quote of the day was: ” The brain works the way it does because it’s made of meat, and meat is not deterministic” .. Some cool applications of dimensionality reduction was also shown here (Yu et al. 2009). After lunch we had a couple of more talks. Jonathan went over stimulus encoding, decoding, a probability primer (conditionalization, likelihood functions etc: I will soon add my own self tutoring Matlab implementation of this section here). And EJ went over retina in details ( emphasizing how crucial retinal functions are and how features like adaptation, center surround organization etc start at the level of the photo-receptors). He emphasized on retina being a non linear system as well. 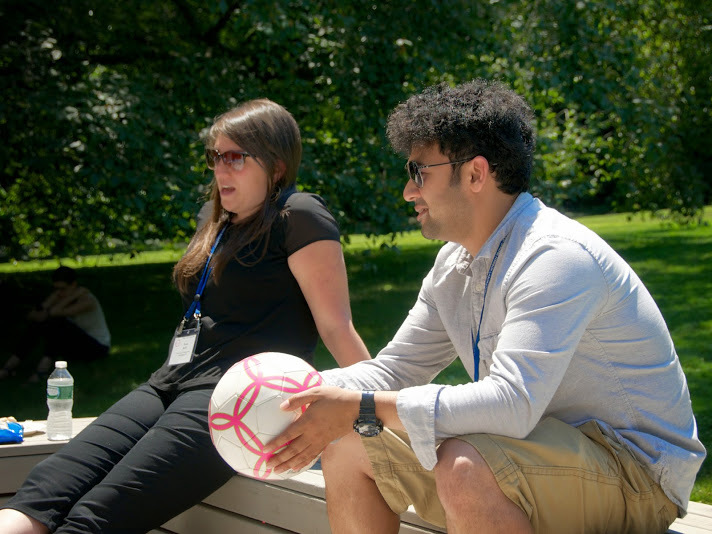 After the talks ended, we had a 3 person/side soccer match (where i scored a goal) including Jonathan Pillow (as we figured out- he’s pretty fit), followed by dinner and MATLAB tutorials. Just arrived here with LIRR at 4pm. An hour from New York Penn Station. Green everywhere! Lloyd Harbor is absolutely stunning. Every one i met so far seems to be really nice. 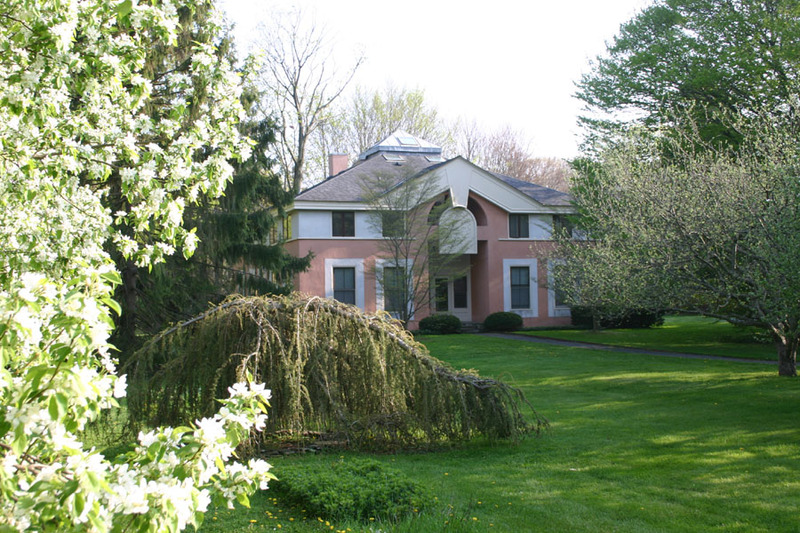 After checking in, we had a wine and cheese reception at Robertson House followed by a three course meal dinner. During this time, I got to meet Stefan, Goeff and Jonathan (three of the organizers). We also checked out the basement which has ping pong tables, pool tables, a chess board, a dart board and a Foosball table. After an hour there, we all went and checked out the beach area. Apparently there are bio-luminescent plants out here. No luck tonight! We all got our own rooms which is good. I recently wrote an article for brainblogger.com emphasizing the potentials of using transcranial electrical stimulation in the clinic, daily lives as well as basic science research. 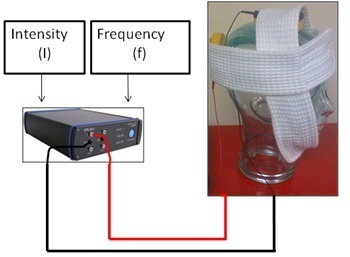 The articles ends with a warning to take things with a pinch of salt when it comes to the commonly depicted overwhelming utility of transcranial stimulation. The sheer complexity involved in studying the interaction of the human brain with externally applied electric fields on the scalp, aka transcranial electrical stimulation, is fascinating. To get a taste of the complexity I am talking about, let me walk you through the hurdles an electric current faces while it tries to enter the brain from the scalp (physicists don’t frown at me!). Typically two (active and ground) large conductive rubber electrodes attached to saline soaked sponges will be placed on the area of interest in the scalp. Then small amount of electricity will be passed. 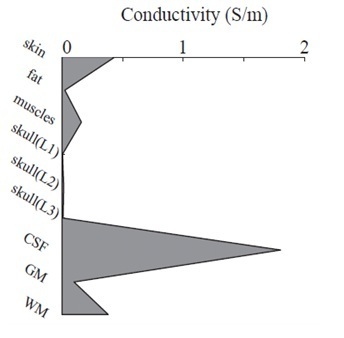 The conductivity profile of each element in the route(scalp to brain) is shown on the left (CSF: Cerebrospinal fluid, GM: Gray Matter, WM: White Matter). All these measures vary from person to person. They also depend on the frequency of current injected. Moreover given the low conductivity and high variability of thickness of the skull, it is extremely difficult to predict accurately how much current is going to hit the brain. Additionally, we must not think of it as a wire diagram electrical circuit. Remember this is 3D. There are analytical and numerical tools to solve for the current densities. But they make assumptions about each hurdle. The most simple ones consist of concentric spheres mainly representing the skull, the cerebrospinal fluid and the brain respectively (Stecker, 2005). If the variation of tissues en route wasn’t enough, the picture is complicated even further by the diversity of structure and morphology of the cortical neurons. Each unit is active, with variable conductance as well as differences of orientation between each other. 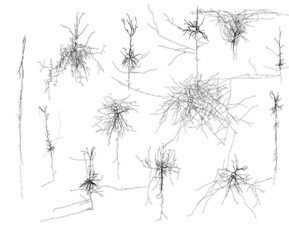 Prediction of what current causes what effect on each neuron is not really like solving a Sudoku. Or is it? Before asking what stimulation does to the brain area, we should ask if we know what the brain does without stimulation. Let’s say by some magic, we can predict exactly what happens to any particular neuron when a 1mA direct current is passed during transcranial direct current stimulation. The next question is, how reliable is our information about human brain areas (let’s just stick to cortical). 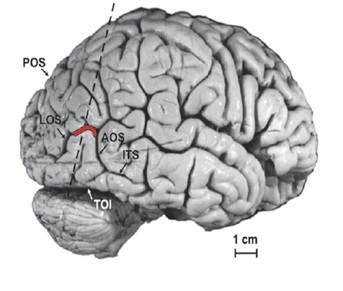 If we don’t know exactly how an area behaves, how can we manipulate the functions of that area by tDCS. Well at this point, I will say, we should start with a comparatively well explored area (generally visual areas). Then, look to solve the riddle one step at a time. Get in sync with me! The primary purpose of this article is to make my intentions pretty clear. A bit of introspection makes me realize I have to justify maintaining a scientific blog. So I am pouring out my thought process here. Any novel unpublished material lying around in my desk is not gonna make it here. The procedure for that is to pursue it further and publish it with sufficient peer review. So what will be the content on this blog? When I started learning about neuroscience, I made a few notable observations. First, neuroscience keeps changing everyday. So it is important to keep yourself updated (at least in the genre that interests you). In this blog I will be posting and elucidating (sometimes criticizing) new materials that interest me. Second, the quality of text books out there on Neuroscience is pathetic. Now, there are reasons behind it. Besides being so much unexplored, neuroscience is also highly interdisciplinary. So to focus on any particular aspect of it makes you leave out multiple other dimensions. So most books try and take a mid-way stance. This makes the books lucrative for the beginners but kills it for the advanced graduate students (who then find solace in the latest journal articles, which are off-course more difficult to comprehend). So as I keep learning new methods and techniques, I feel it is my duty to explain them in lucid terms to the new students so that they can grasp it faster and better. I use MATLAB simulations whenever possible to explain concepts to myself.There will be a lot of that. Third, because of space constraints and sometimes simply tradition, many concepts in the journal articles are explained with suboptimal clarity. Here, I will try and elaborate on those aspects (specifically if it is my article; not so much for others). When I was 15, I wanted to become a film director. Now I am a neuroscientist and love what I do. So some directions are decided on the go. So the rest of the blog themes will get updated as it evolves.